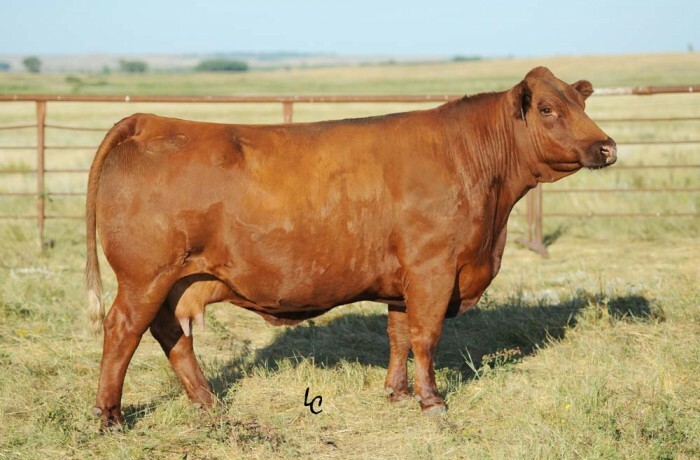 A cherry red daughter of Big Sky that is the dam to CDI Sky King, our 2012 high selling Beef King son that sold to Traxinger Simmentals. R16 is another female with that valuable outcross pedigree. She is an attractive cow with excellent structure.